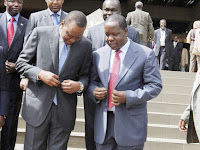 Friday February 1, 2019-President Uhuru Kenyatta, on Thursday, issued a stern warning to all Cabinet Secretaries regarding his appointment of Interior CS, Fred Matiang'i as the Chief CS in charge of all Government projects. 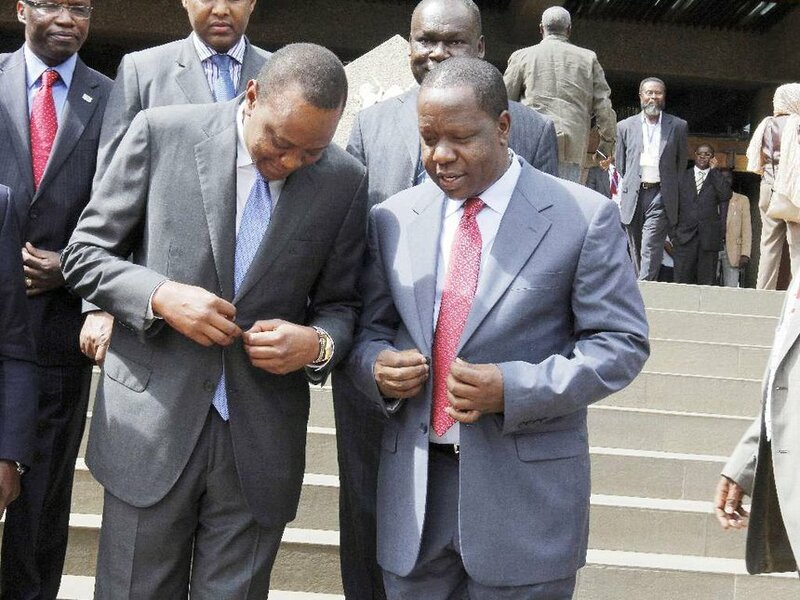 Speaking while chairing his first Cabinet meeting this year, the Head of State put on notice all CSs who failed to comply with his executive orders, which included handing sweeping powers to Matiang'i, that they will be in for a rude shock. He dared the CS to quit if they are not happy with Matiang’i’s new role-stating that the Interior CS will now be his eyes and ears on the ground going forward. “You either do it Matiang’i way or simply ship out; they are many people willing and ready to serve in that position,” Uhuru warned the CSs. Matiang'i was appointed as the chair of the National Development Implementation and Communication Cabinet Committee tasked with supervising the delivery of all Government projects and allocation of resources answering directly to the President.